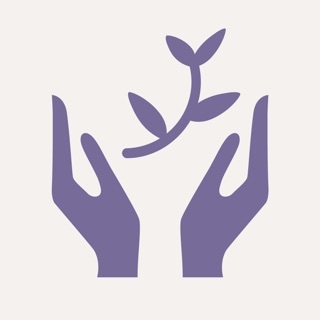 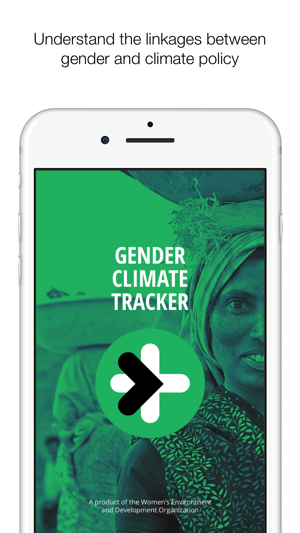 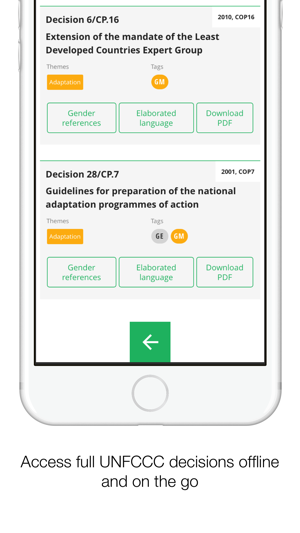 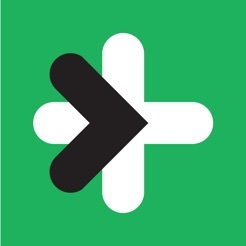 The Gender Climate Tracker App provides experts, decision-makers, negotiators and advocates on-the-go access to the latest information on research, decisions and actions related to gender and climate change. 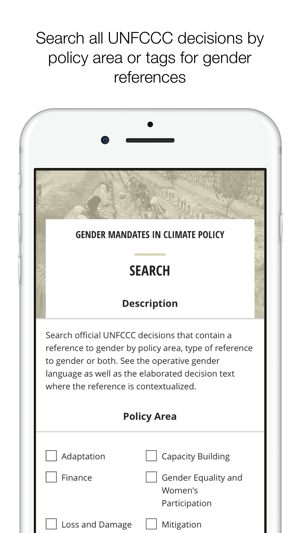 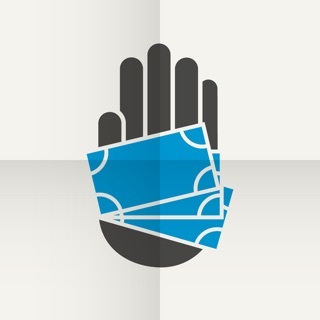 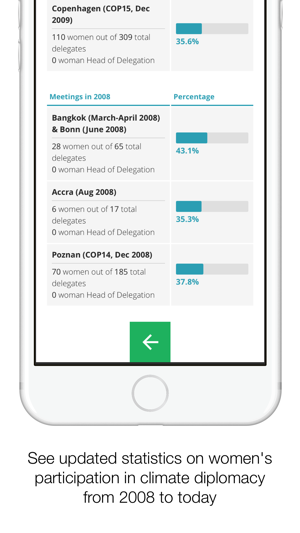 By reviewing, compiling and publishing this information, the app empowers civil society, governments and citizens to hold their governments accountable to their gender commitments. 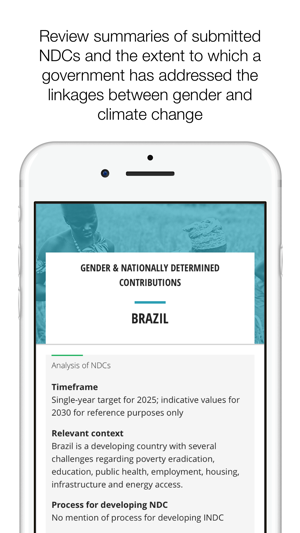 This update includes updated UNFCCC gender mandates; the latest participation statistics; information and analysis of Nationally Determined Contributions; and additional resources and tools for action.